Description: Used for copy-routing processing various kinds of holes, grooves and water slots on aluminum windows and doors. By copying template and auxiliary positioning two copying method. Using a foot switch control the pressing cylinder, safe and reliable. It has features of compact structure and small volume. 1.Used for processing various kinds of holes, such as water slot, pulley hole, lock hole , groove . 2.Horizontal head and vertical three-hole drill can process three holes on the lock-position hole one time. 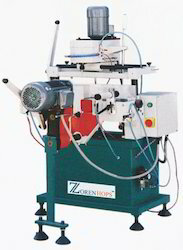 Manual single head copy router with pneumatic clamps and lubrication, with manual tracer points. - For milling various kinds of lock holes. - Equipped with standard holes in template. • For milling various kinds of lock holes. • Equipped with standard holes in template. Hole mills are manufactured as per IS or DIN standard. Non standard hole mills are manufactured as per customers’ drawings. Hole mills are used to align bore with it’s axis after drilling. They are made in two types viz. 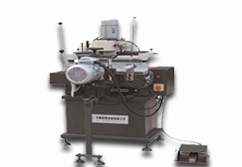 Listed in category of topmost organizations we are offering Lock Hole Milling Machine to our clients. It is high quality milling machine which is used for processing aluminum profile and consists of super precision designed components. It has got excellent adjustable mechanism and delivers high performance for long time period.